The PERRIN Battery Tie Down STIFFI is a quick and affordable upgrade. Keep your battery from moving in all situations. The PERRIN Performance Battery Tie Down is machined from billet aluminum with radiused edges and countersunk mounting holes. 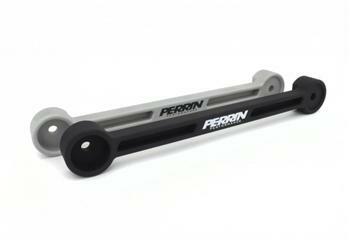 Available in either black or silver anodizing, the PERRIN battery tie down is an easy way to dress up the engine bay of your Subaru.